We are very proud to announce that our projects for H-Farm districts and H-Campus have been featured on july-august number of Casabella magazine. A new connection is taking shape in the area around H-Campus, reaching the other side of Sile river. H-Campus project is taking shape: you can navigate through its buildings and spaces by clicking on the image below. 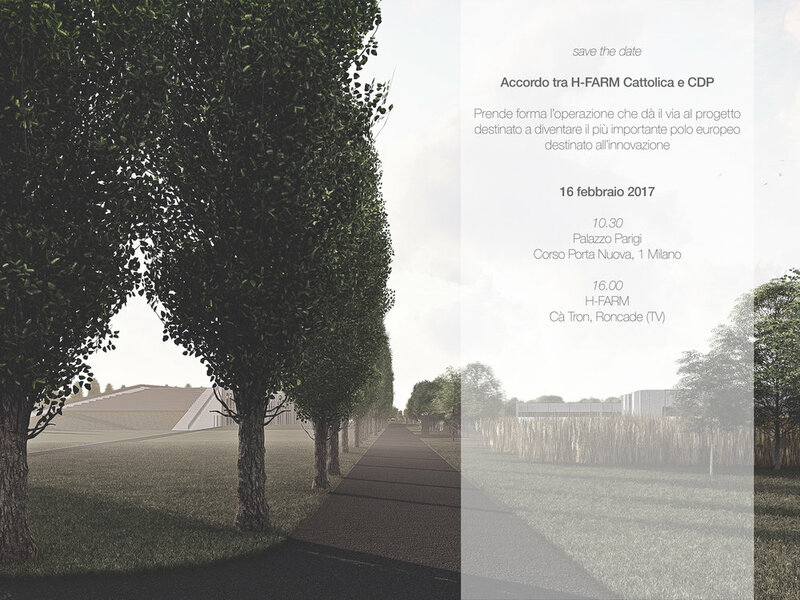 On February 16th 2017 a press conference will take place in Milan and Roncade to present the financial details of the agreement between Cattolica, Cassa Depositi e Prestiti and H-FARM, operation that will give a start to the realization of H-CAMPUS: the project will become the most important European center dedicated to innovation and will host the expansion of the Education project. For the current project of H-CAMPUS we are collaborating with Rogers Stirk Harbour + Partners.